I purchased this rug for my formal living area. This worked great for an accent rug piece. I was very pleased. The rug also had some of a distressed feature that went nice with the area. Sophisticated designs and muted colors make this Chateau Collection truly unique. The pile is textured for a vintage look and feel that supplies an air of luxury to your home. 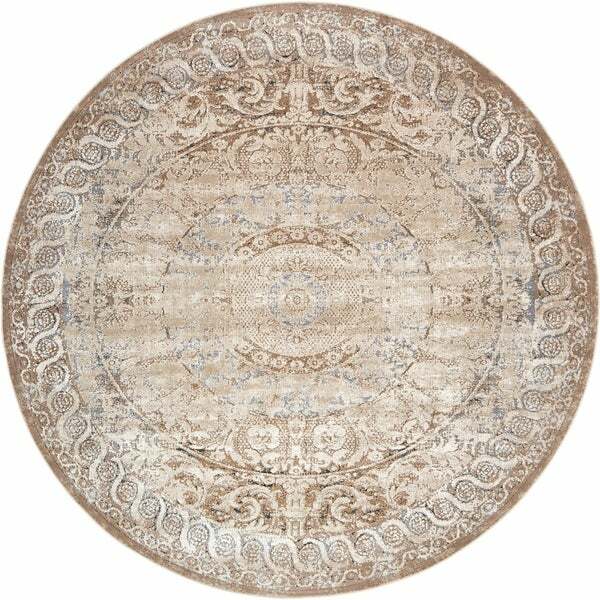 With its classy, distressed appearance, this Chateau rug will give you home's decor the elegance you've been searching for. Dimensions 96.0 In. X 96.0 In. X 0.25 In. Love this rug! Perfect for my space.